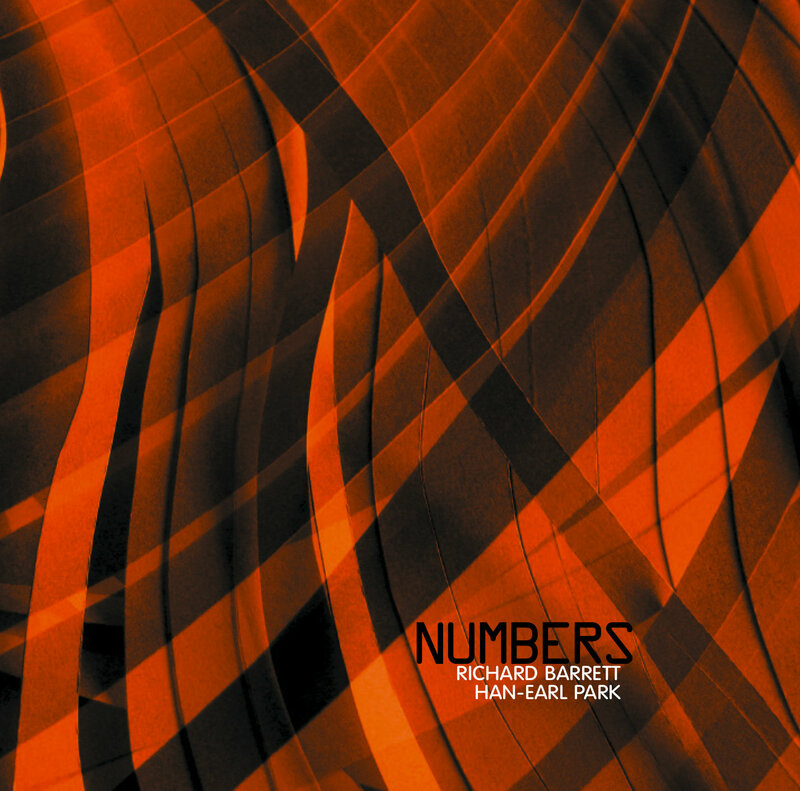 Released as part of Creative Sources Recordings’ February 2012 CD catalog: ‘Numbers’ (CS 201 cd), a duo recording by composer, performer and electronic musician Richard Barrett and guitarist, improviser and constructor Han-earl Park. Numbers is a high-energy, quick-footed, scatter-brained two hander—a looping, convoluted, interactive dance made audible—a musical fender bender involving electroacoustic complexities and (physio)logical splutter-cuts, jump-cuts and match-cuts—an intense white-knuckle extemporization unit—the duo of composer, performer and electronic musician Richard Barrett and guitarist, improviser and constructor Han-earl Park. Celebrated for his dense, complex, intricate music, Richard Barrett is perhaps best known for his work with Paul Obermayer as part of FURT, as part of the Evan Parker Electro-Acoustic Ensemble, and his close collaborations with the Elision Ensemble. At home in both composition and improvisation, Barrett’s music increasingly problematizes the distinction between them. Described by Brian Morton as “a musical philosopher… a delightful shape-shifter”, Han-earl Park is drawn to real-time cyborg configurations in which artifacts and bodies collide. He has performed with some of the finest practitioners of improvised music, and is part of Mathilde 253 with Charles Hayward and Ian Smith. First performing together as duo in at AUXXX, Berlin, October 2010, Barrett and Park engage in a continuing improvisative conversation; alternately claiming autonomy and independence, and group action and solidarity. Track titles derive from the final section of numbers, an extended poem by Simon Howard, published in 2010 digitally by Mark Cobley and in book form by The Knives Forks And Spoons Press. Audio excerpts courtesy of Creative Sources Recordings. Audio ℗ 2012 Creative Sources Recordings. Please do not distribute the audio files. Richard Barrett (electronics) and Han-earl Park (guitar). tolur (15:38), tricav (10:42), ankpla (10:46), uettet (5:17), creens (6:03), ll……. (11:42). Total duration: 60:00. All music by Richard Barrett and Han-earl Park. 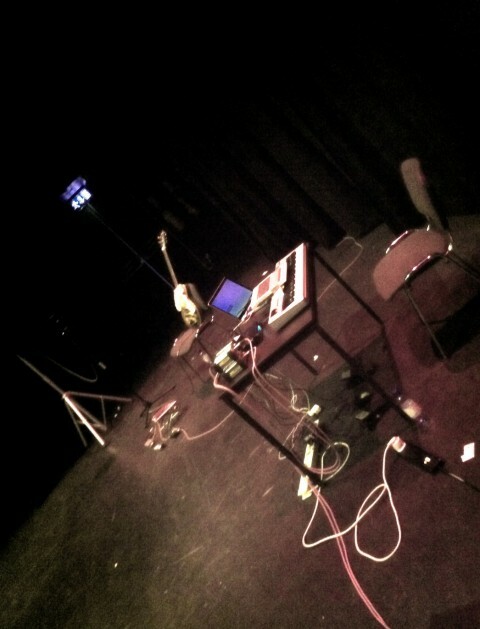 Recorded March 10, 2011 at the Institute of Sonology, The Hague. Design and artwork by Carlos Santos. Richard Barrett (www.richardbarrettmusic.com) is internationally active as both composer and improvising performer, and has collaborated with many leading performers in both areas, while developing works and ideas which increasingly leave behind the distinctions between them. His long-term collaborations include the electronic duo FURT which he formed with Paul Obermayer in 1986 (and its more recent octet version fORCH), composing for and performing with the Elision contemporary music group since 1990, and regular appearances with the Evan Parker Electro-Acoustic Ensemble since 2003. Recent projects include “CONSTRUCTION”, a two-hour work for twenty performers and three-dimensional sound system, premiered by Elision in November 2011. He is based in Berlin and currently teaches at the Institute of Sonology in The Hague. His work as composer and performer is documented on over 20 CDs, including five discs devoted to his compositions and seven by FURT. Improviser, guitarist and constructor Han-earl Park (www.busterandfriends.com) works within/from/around traditions of fuzzily idiomatic, on occasion experimental, mostly open improvised musics, sometimes engineering theater, sometimes inventing ritual. He feels the gravitational pull of collaborative, multi-authored contexts, and has performed in clubs, theaters, art galleries and concert halls in Austria, Denmark, Germany, England, Ireland, The Netherlands, Scotland and the USA. 10-04-13: add audio excerpts and reviews, plus some small formating changes.